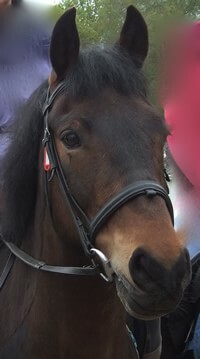 Robbie is a handsome New Forest bay gelding, 14.2hh. With a streak of cheek in him, he is nonetheless a very reliable and dependable fellow and always delivers a steady ride in our sessions. He loves to eat anything!